JetLease Welcomes Chris Moralle to its Team! PALM BEACH _ JetLease, the world's largest private aviation leasing company, proudly welcomes Chris Moralle to its world-wide team of professionals. 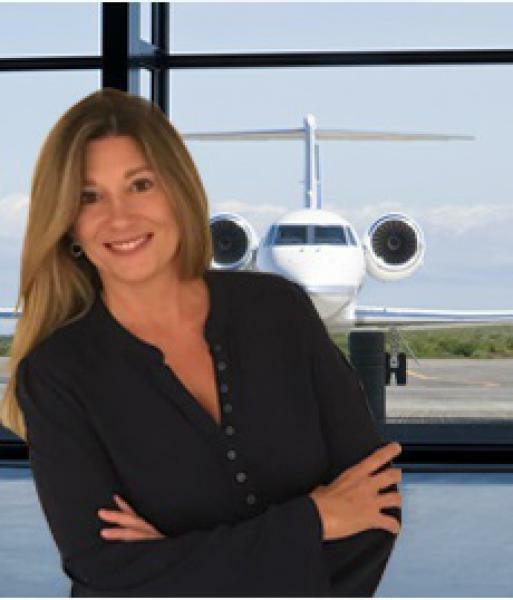 Entrepreneur, business consultant and financial expert, Ms. Moralle brings a wealth of experience to her role at JetLease. "Owning a private aircraft has a number of financial implications," said Russ Dise, president of JetLease. "Chris has the background and the knowlewdge to help clients determine the best ownership plan for them." "Helping a client to determine the best way to finance or lease based upon their individual requirements and goals is my specialty," said Ms. Moralle. "Additionally,I spend time maintaining a network of trusted associates I can rely on to find assets that are off market and not available to mainstream brokerage groups." Based in Cleveland, she is active in the Los Angeles, New York and Palm Beach markets. Ms. Moralle previously worked as a business owner with Fortune 500 companies and high net-worth individuals. In her role as a consultant, she worked to recapitalize and market Red the Steakhouse in Miami Beach, as well as exponentially expand the ABCO Fire Protection business. Crain's Cleveland Business honored her in their "Forty Under 40" program, which recognizes professional success and civic contributions. "After researching various industries, JetLease is the one that best utilizes my skills," said Ms. Moralle. "I have the opportunity to work with a very professional yet entrepreneurial organization, led by someone I've long known, trusted and respected." Away from the office, Ms. Moralle is an avid hiker who loves to travel and discover new cultures. Her professional goal is simple: "Become a valued life-long friend and advisor to my clients." JetLease, established in 1983, serves the needs of private, corporate, commercial and military aviation for sale or lease of aircraft. Headquartered in Palm Beach, Florida, JetLease has offices in Miami , Fort Lauderdale, Cleveland, Chicago, New York and Los Angeles. International offices include Colombia, Dominican Republic, Panama, Venezuela, Brazil, Germany, Saudi Arabia, and China.